Silverfish can be difficult to treat for. Because of their food preferences which are wall paper paste, book binding glue and shelving paper, they are found in out of the way places. They can be between the shelving paper and the shelf and we wouldn’t even see them, and if we were to spray the shelf and they’re under the paper we won’t get a kill. This is why it is difficult to treat for Silverfish. 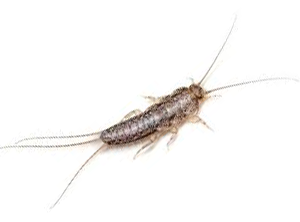 Our treatment consists of treating all of the areas where the Silverfish are being seen as well as fogging the house for them.